The Great Arctic cyclone of 2012. 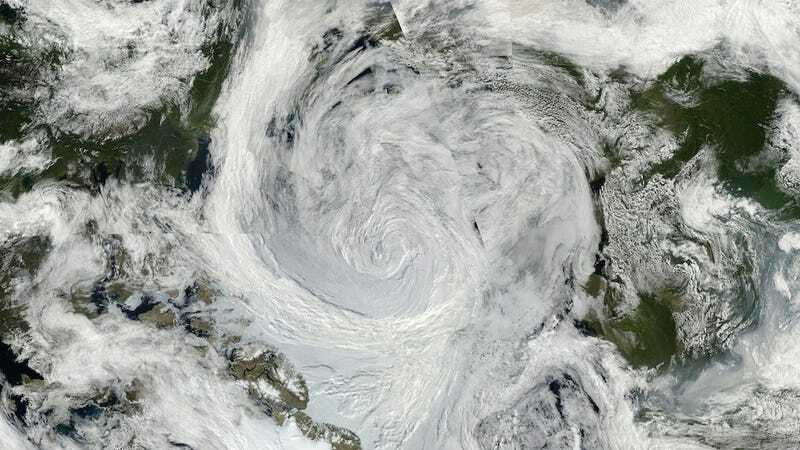 In August 2012, a monster cyclone roared to life over Siberia before moving out over the Arctic Ocean. Meteorologists watched, agog as the beast continued to gather strength for days, before finally dying out over the Canadian Archipelago. Cyclones are common in the Arctic, but they tend to be most powerful in the winter, which is part of the reason scientists were so intrigued by the Great Arctic Cyclone of 2012. The other reason is that a just few weeks later, Arctic sea ice bottomed out at its lowest level in recorded history. While it was clear at the time that this record-breaking storm likely played a role, it was less clear whether these events offered preview of the future. A new analysis suggests that perhaps they did. The study, published last month in Geophysical Research Letters, concludes that Arctic cyclones—particularly summertime storms—will become more frequent and intense in the future, breaking up sea ice, battering coastlines, and amplifying the climate change-driven feedback loop already transforming life at the top of the world. It’s part of the ever-growing body of evidence of profound change in the Arctic. blended records of Arctic cyclones and models to perform their statistical analysis. They found that during years when the contrast between land and sea temperatures is greater—which tends to happen when air temperatures are higher, because a warmer atmosphere heats the land faster than it heats the ocean—the Arctic sees more cyclones. “By comparing statistics for years with high land-sea thermal contrast against years with low, we demonstrate that storms over the Arctic Ocean will likely become more frequent and more dynamically intense as the climate warms,” the researchers write. Xiangdong Zhang, an atmospheric scientist at the International Arctic Research Center (IARC), told Earther that the temperature gradient along coastlines is just one piece of a complex puzzle, adding there are “many other mechanisms also involved” in Arctic cyclone formation, including interactions between the stratosphere and the troposphere. Still, he agreed that Arctic cyclone activity could rev up as things heat up. In fact, his own seminal study in 2004 suggests this may already be happening. John Walsh, a co-author on that 2004 study, told Earther the new paper’s methodology looked solid, “so the conclusion about a future increase of storminess seems well-supported.” He added that an increase in summer storminess, coupled with less sea ice to protect shorelines, could create a “double whammy for coastal communities. “While open water may seem to favor increased navigation opportunities, coastal communities that rely on small boats for subsistence hunting may find an increase in the number of ‘unboatable’ open water days because storm-induced wave activity is too high,” Walsh told Earther via email. 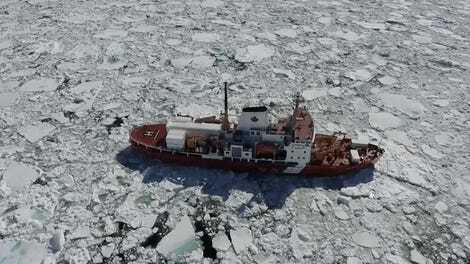 Cecilia Bitz, a sea ice researcher at the University of Washington, noted that more summertime Arctic storms could further diminish the region’s sea ice, allowing the oceans to absorb and release more heat that essentially amplifies climate change’s effects. She thinks the Great Arctic Cyclone of 2012 “probably made the difference between  being a low year and the record low year,” for sea ice, a title it still holds. Given the importance of these storms in shaping Arctic life, Steven Cavallo, a professor of meteorology at the University of Oklahoma, told Earther it’s vital we start to understand them better. Our data on Arctic cyclones is notorious spotty compared with, say, Atlantic hurricanes. To that end, Cavallo is spearheading a 2020 airborne observation campaign that will target cyclones with the aim of pinning down the factors that cause them to form and amplify. Has the Arctic Finally Reached a Tipping Point?